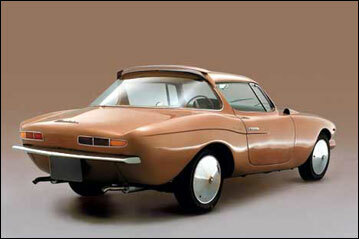 Raymond Loewy left Studebaker in 1955 and went abroad to build a series of sports coupes that would influence the new design from South Bend. 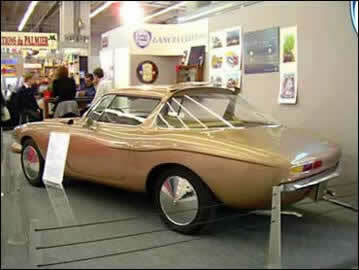 The most significant of these were a BMW 507 roadster, displayed at the 1957 Paris Auto Show, and a Lancia, the Lancia Flaminia Coupe Loraymo Salon de Paris which was designed by Raymond Loewy in 1960. 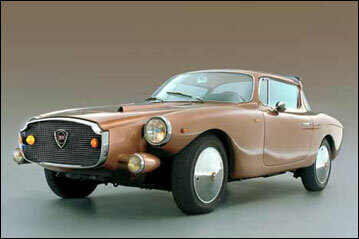 The Lancia was dubbed "Loraymo" using a jumble of letters from the designer's name. 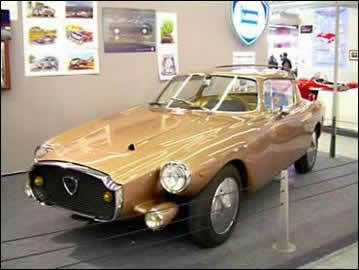 The original is on display in the Museo Nazionale dell'Automobile, an automobile museum in Turin, northern Italy. The BMW 507 established a basic fast-back shape that was embellished with sculpturing in the Lancia Loraymo and considerably refined in the Avanti. Lancia Loraymo diecast 1:43 model The Lancia was featured in the January 1961 edition of Mechanix Illustrated. Rear view of the Lancia Loraymo. Front view of the Lancia Loraymo. Rear view of the Lancia Loraymo in the Lancia Museum. A Lancia Loraymo on display in the Lancia Museum.